Touch magazine is giving away a promo gift tote bag with purchase of Touch Magazine at the bookstore in Hong Kong Airport. This tote bag is big and spacious enough to store A4 sized documents. It is foldable and handy to carry around in your bag so that you can use it for extra storage when needed. Also, it can be used on a daily basis or even for travelling purposes. Read on to find out more on how the promotional tote bag is used as a promotional gift. Touch Magazine is a weekly Chinese language magazine that is written in Cantonese sold in Hong Kong. It is published every Tuesday by East Touch Publishing Limited which is part of Global China Group Holdings Limited. Why tote bags as a promo gift? Tote bags are practical, which can be used on a daily basis for storage purposes. It is lightweight and durable as well. You can bring it anywhere and everywhere either as a normal bag or a spare bag. There are many other uses for the tote bag as well. It can serve as a reusable shopping bag which would be an eco-friendly alternative to plastic bags, a school bag, book bag, shopping bag and many more. How can this promo tote bag affect sales? 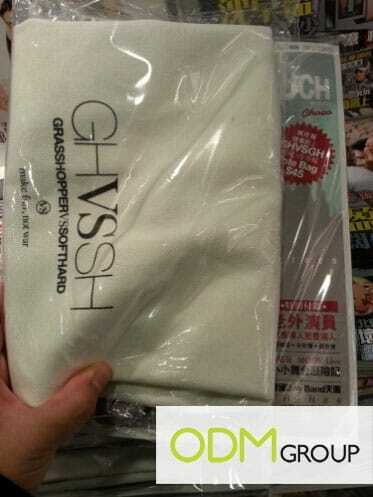 Touch Magazine can brand its logo and website on the tote bag to increase brand recall. Whenever the tote bag is used, the consumer would be reminded of Touch Magazine and they would make repeated purchases and read the magazine for entertainment purposes. This tote bag also helps to increase brand awareness for those who have not heard about Touch Magazine. Giving a tote bag as a promo gift also helps to attract and leave a good impression on consumers and this would help to generate sales for the company.